PCBs, or polychlorinated biphenyls, are chemicals that were used by GE in transformers and capacitors manufactured at its plant in Pittsfield, MA (at right). PCBs were also used by other industries in the manufacture of paints, hydraulic fluid, adhesives, ink and plasticizers. The use of PCBs was legal until 1977. GE discontinued its use of PCBs in 1976. 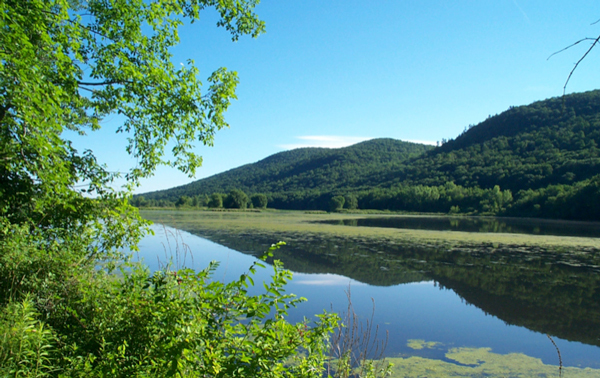 Over time, releases of PCBs from GE’s plant site migrated to the Housatonic River. GE and others have conducted numerous, comprehensive investigations of PCBs in the water, sediment and wildlife of the river to determine where PCBs are located at elevated levels and evaluate the best way to address them. 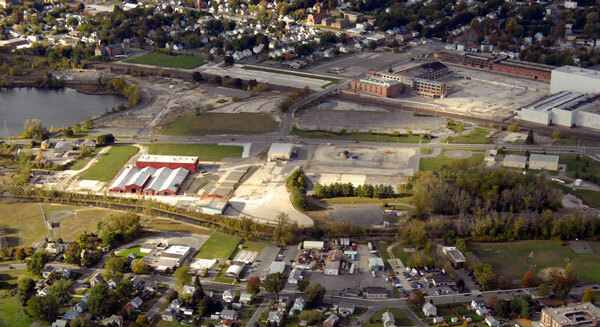 As a result of these studies, GE conducted a major cleanup of its former Pittsfield plant site and nearby areas that is nearly completed. 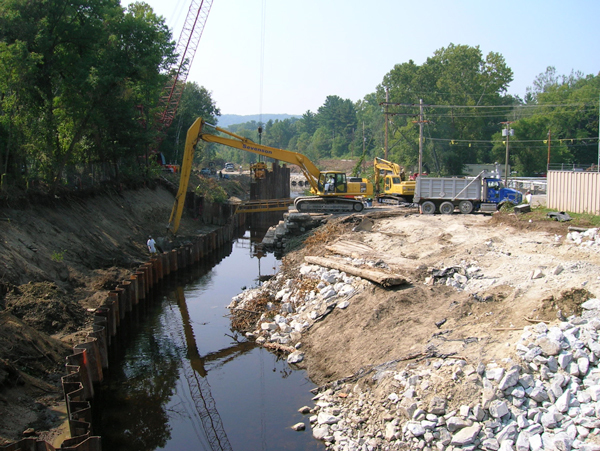 GE and EPA also dredged sediment from, and stabilized the banks of, the first two miles of the river adjacent to and immediately downstream of the former plant site. In addition, soil was excavated from the adjacent floodplain. GE’s focus has now turned to the remaining stretch of river that meanders through the Berkshires and Connecticut before flowing into Long Island Sound. This stretch, which EPA refers to as the “Rest of River,” encompasses more than 135 miles of river and the associated shoreline. In 2008, GE completed an evaluation of several clean-up options for the Rest of River that were approved by EPA for review. The study is contained in a report called the Corrective Measures Study (CMS), which was submitted to EPA in March 2008. All told, GE analyzed eight options for addressing PCBs in river sediments, seven options for addressing PCBs in soils in floodplain areas, and five options for disposal or treatment of dredged sediments and excavated soils. The options for sediment and soil included allowing the river to recover naturally; excavating sediment and soil; and covering or capping river sediments. GE used the results of EPA’s risk assessments and computer model to evaluate the clean-up options and measure them against nine evaluation criteria adopted by EPA. Spurred by the concern about the ecological damage that would result from many of the clean-up options, GE developed the Ecologically Sensitive Approach (ESA), a new alternative which would protect human health but avoid much of the ecological damage that would result from many of the other options evaluated in the CMS. The ESA would involve the removal of 265,000 cubic yards of sediment and soil from the river, Woods Pond, riverbank and floodplain. EPA requested that GE consider another option as well — mechanical dredging of approximately 900,000 cubic yards of sediment over 333 acres from the confluence of the two branches of the river to Rising Pond Dam, installation of an engineered cap in these areas, and removal of significant portions of riverbank. GE continues to evaluate these clean-up options for the Rest of River. GE has submitted a revised CMS to EPA that discusses those options.